Chor Police - That game where you made 4 chits named Chor, Police, Raja, Rani or Vazir and the Chor had to secretively wink at people and 'kill' them, and the police had to guess who the Chor is. 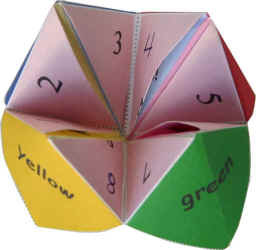 Chip Chop - Originally called the fortune teller origami, we used to call it chip chop, with numbers and colours written outside, one had to choose one of each and there was something written about it inside. 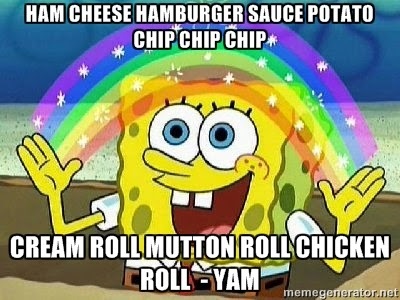 Ham cheese hamburger / Soup Macaroni Faroni - That game we played sitting in a circle clapping hands then into fists and finally with elbows! 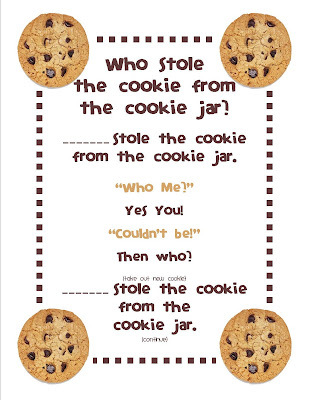 Who stole the cookie from the cookie shop? Dot on palm - Remember taking chocolates from your friend when they forgot to put a dot on their palm with a pen? And you having to give chocolates to them when they caught you? Truth & Dare - Spinning the bottle and choosing truth or dare, this game is still popular. Another variant is stare, truth or dare. Ops & Bats - Catching your friend and slapping their back if their sitting and forgot to say ops or standing and forgot to say bats. Tapli (Might have other names)- Hitting on their head when someone got a haircut. Statue/Freeze - Okay, everyone knows this one. 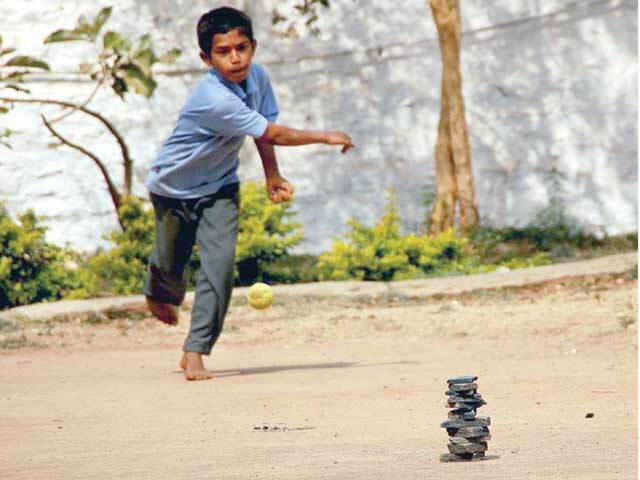 One cannot move once they've been "statue'd"
X&O - The world famous game that is still popular. Dots - Making lines turn by turn to connect dots till all boxes are covered. Whoever gets the maximum number of boxes wins. Fish Pond - In this game, people would write anonymous notes about whoever they want and fold them and put it in a bowl (pond) and then one person would "fish" out the chits and read them aloud for everyone. Funny, adorable, insulting etc comments all! If & Then - Now this one I loved! So, every person gets 2 chits. They write a statement starting with 'If' on one chit, and one starting with 'Then' on another. Both statements need not be related. Then everyone's 'If's' are collected in one box and 'Then's' in another. One person picks a random If statement and joins it with another random Then statement to make hilarious sentences! Name Place Animal Thing - Four columns with these categories, and one person says A to Z in their mind till someone stops them. Whatever alphabet they stop at, everyone writes a word with that. Points are awarded for all correct answers. Dark Room - A room or any place where curtains can be shut or at night when lights can be turned off. Everyone hides and the "denner" is blind-folded and has to hunt for the people hidden. Hide & Seek - Also known as Stop & Palti or Lukka-Chuppi. This is a game still very popular. Lagori - 7 flat stones are piled on top of each other. The opposite team hits it with a ball while the other team tried to build it. Land & Water - As far as I remember, water was the ground/floor and land was any piece of furniture or construction. Whoever's den it was would shout Land and everyone had to run towards any piece of land before they're caught and the same went for water. Colour Colour which Colour - The denner would choose a colour and everyone playing would have to find something of that colour and go touch it. 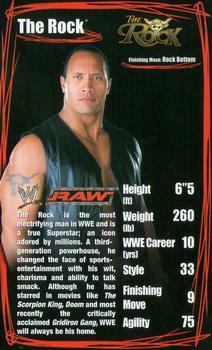 WWE Trump Cards - My entire childhood was spent remembering WWE player's weight, rank, height, biceps, triceps, etc. Kho Kho - Sitting in opposite sides and one person pushes on the back, whoever is pushed has to get up and catch the person before they take the empty place. Langdi - Hopping on one leg and trying to catch as many people as possible. Saakhli - A game of catch catch where whoever is caught joins to form a human chain. Uno - Another still very popular card game, also a mobile app now. Business - The Indian version of Monopoly. Aa mina supersina big boys lazy girls ..Statue!! Slam Book - The scrap book we all purchased at-least once during school and made all our friends (and crushes) fill it! Pen fight - The best classroom desk game! I used to always win! Thumb Fight - When we didn't have a pen, our thumbs would suffice. Maybe you are not aware of a few out of these, they could be gender or location or age specific after all.